How far is the nearest form of water transport? 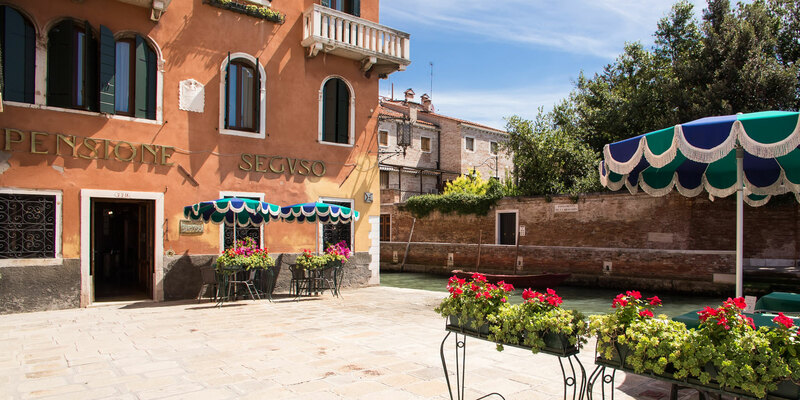 Just outside the hotel door is the Pensione Seguso’s own mooring station. What time can we check in and what time do we have to check out? Check in is from 1 pm, check out is by 11 am. Yes there is. 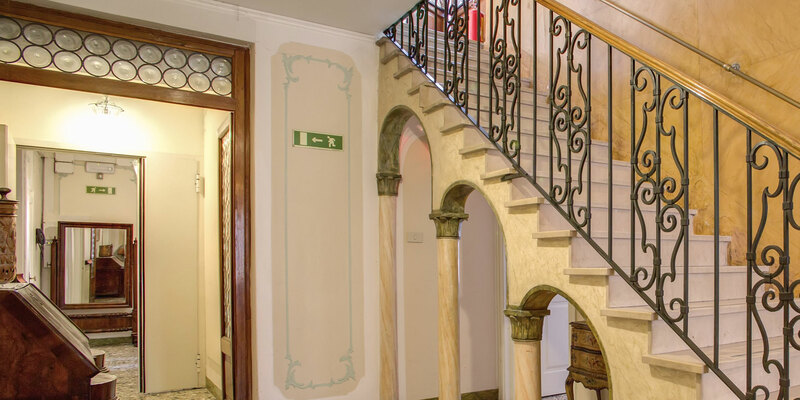 Any guests with queries about disabled facilities should contact us via the Pensione Seguso Real Time Online Booking page. Does the Pensione Seguso offer a shuttle transfer service to and from the airport? Do any of the rooms have satellite TV? No, but terrestrial TV is available upon request when booking. When is breakfast served? What kind of breakfast is offered? 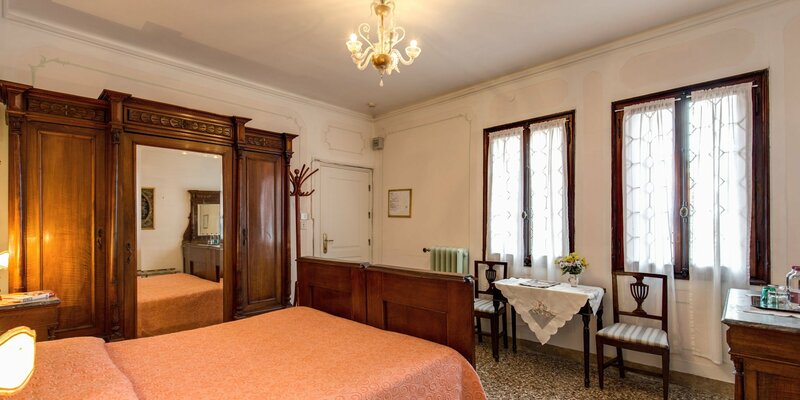 Italian continental breakfast is offered from 8 to 10 am in the tranquil and beautiful breakfast room. Are staff on hand 24 hours? Do all rooms come with private bathrooms? Breakfast is included but not lunch and dinner. Does the price vary according to the number of people? 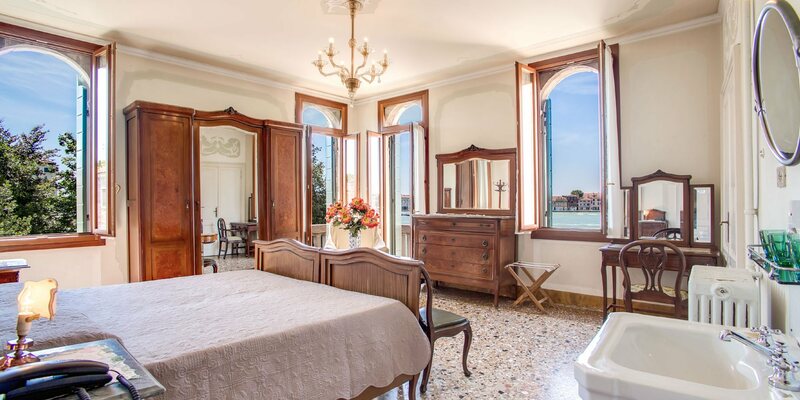 No, the price is per room – single, double or triple. userren under the age of 2 are admitted for free and crib or cot can be provided free of charge upon request. Small animals yes – but please let us know when booking.